Don't worry about getting your own hands messy. The easiest way to get those little fingers and toes to uncurl is to get in there and help them relax with your hands, which you can't really do without getting your hands a little paint-y. Put the paper you will be printing on on a hard surface. 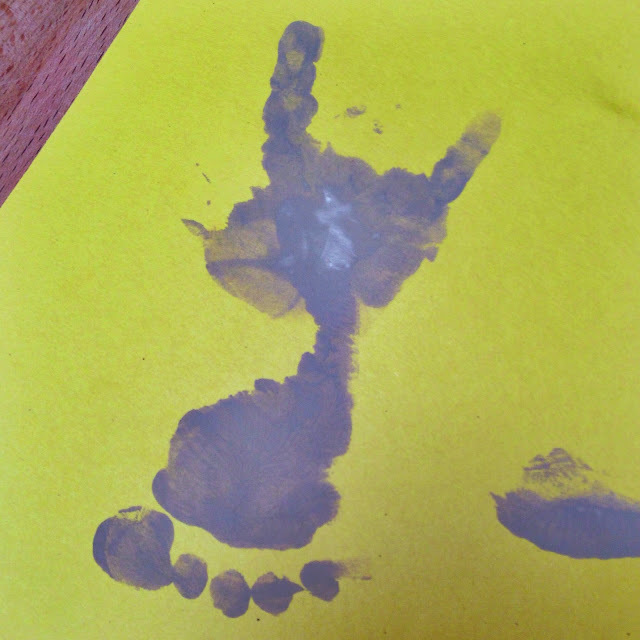 The footprints always turn out waaay better if you use a clipboard or tape the paper to a book. Have everything ready before you paint their hands or feet. I make sure I have the paper clipped to my clipboard, extra paper within reach, the paint squirted on a plate, my paintbrushes right next to me, and the washcloth wet and ready to wipe before I do any hand or foot painting. Use a paintbrush. Instead of pressing tiny hands and feet into pools of paint, the best way to get an even coat is to paint it on. Footprints are easiest when feet are dangling. I always do Kinley's footprints when she is sitting in her high chair. 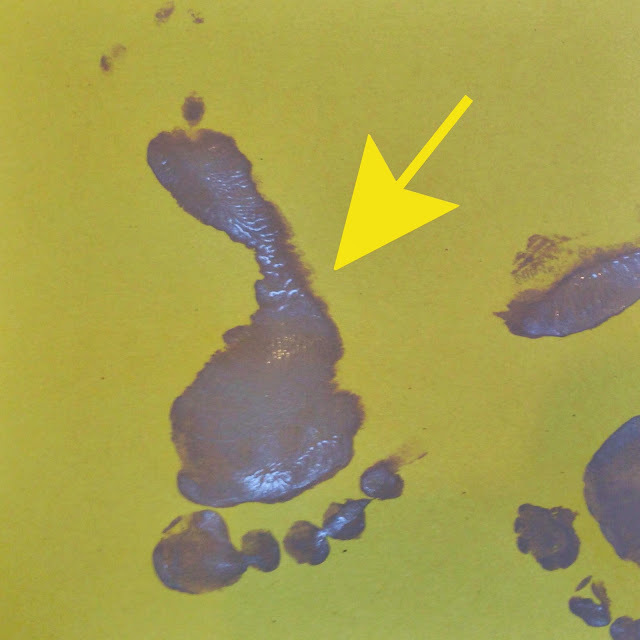 It's much easier to press their painted foot onto a clipboard-ed paper than to try and get them to step in the right spot and, at the same time, make sure they don't run around the house with painted feet. Be patient. Tiny humans are very confused by hand and foot art until you do it with them a bunch of times. The paintbrush tickles, the paint feels weird, and they really don't like getting their extremities pressed down onto paper. So be patient. Make it fun and listen to their favorite tunes while you paint. Have enough paper handy to give it a few tries, and if it's torture for you both, just try it another day. Today was deep clean and rearrange the furniture day at our house, so I didn't have a ton of time to do a project with Kinley. It was the perfect day to capture her teeny feet on paper. 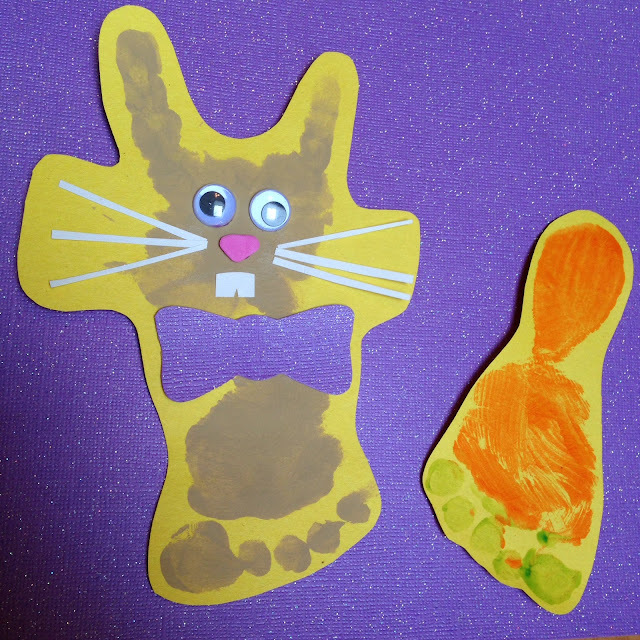 I had done the carrot footprints with my daycare babies, but I made up the Easter Bunny today and he actually turned out really cute. I'm sorry I couldn't take more pictures. It's hard to take pictures with this kind of project without getting fingerpaint all over your iPhone. I'll try to describe the steps really well to make up for the lack of visual aids, and of course you can just send me a note on here, or Facebook or Twitter if you have any questions. 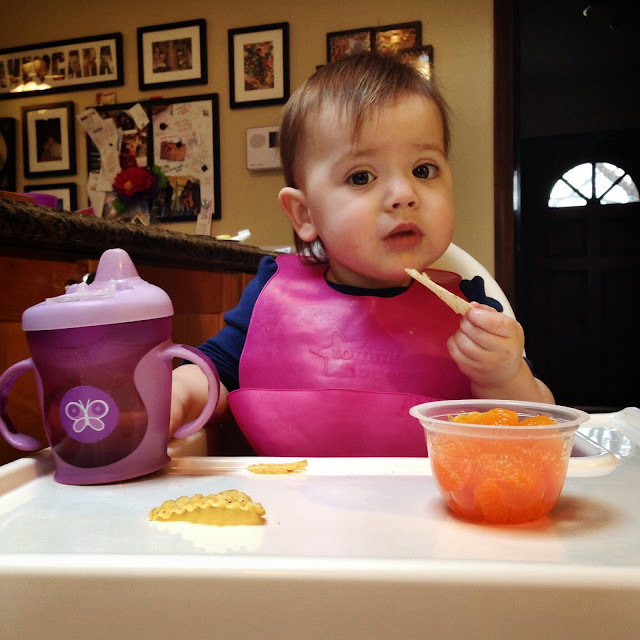 SuperBaby sat in her high chair and ate chips and baby oranges and waited for her chicken nuggets to come out of the oven while I got to work. Let's talk about the carrot foot first. Obviously, you will need green and orange paint for this one. It's really simple. 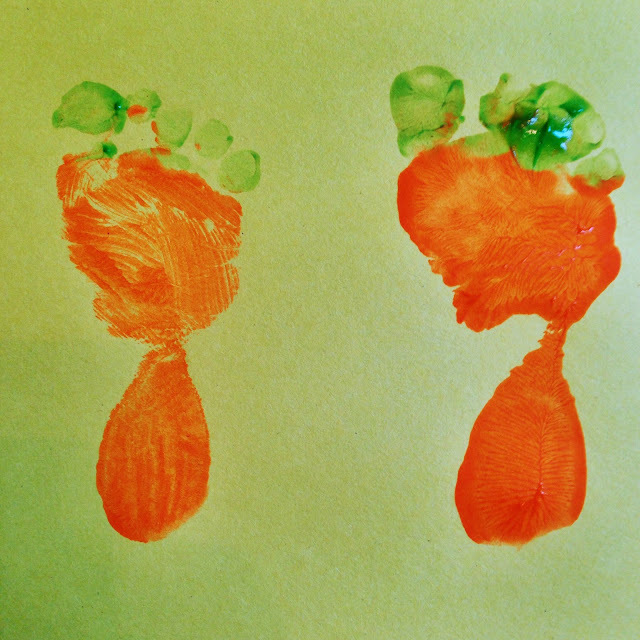 Paint those little piggies green (carrot tops) and little feet orange (the carrots.) And, press down on your paper. As Kinley says, TA-DA!! The carrot feet are perfect for teeny tiny babies because their little feet don't have arches yet, so they really look like tiny pointy carrots--adorable! Moving on to the more complicated, but still easy, Easter Bunny. I don't have brown fingerpaint, so I just used regular tan craft paint for this one. It washes off skin easily while it's still wet, but make sure you rinse any clothes really well before it dries or it will probably be there for good. I started with the footprint part since I was already down on the floor. I just painted her whole foot, toes included, tan, and stamped it on her paper. 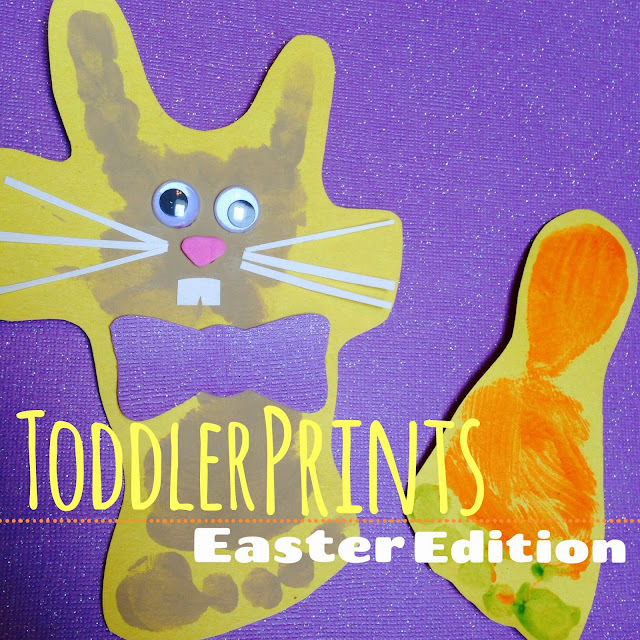 Try to get the footprint close to the middle of a full sheet of paper so you have plenty of room to add the handprint head without getting frustrated. Now, after you get your kiddo's tiny foot all cleaned off, it's time to do the handprint. The way I did ours probably won't work for younger kids because they curl their fingers up when you paint their hands, so I will give you two options, one for older kids and one for younger ones. Older kids: Paint the palm of the hand, plus the pointer finger and pinky finger, and stamp on your paper. The palm of the handprint should be on top of the heel of the footprint. Younger kids: Paint the palm and all the fingers. Stamp as described above. 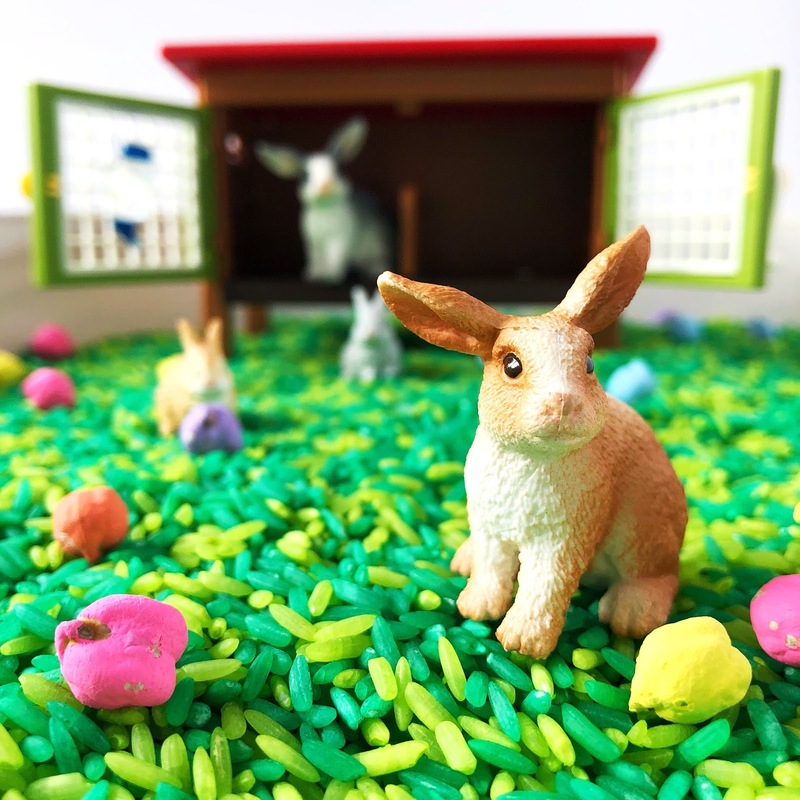 You will just have to cut out your bunny when it's done and trim out the extra fingerprints, leaving only the pointer and pinky prints. Just as I finished wiping the paint off of SuperBaby's little fingers, the oven timer went off cause her chicken nuggets were done. Perfect timing! While she chowed down, I gathered up googly eyes and a few paper scraps and cut out some whiskers, a bow tie, teeth, and found some pink foam for his little nose. I just glued them on with a regular glue stick. If you're doing this project with an older kid, I'm sure this would be the most fun part for them. As usual, Kinley was super excited to show her daddy her new art. 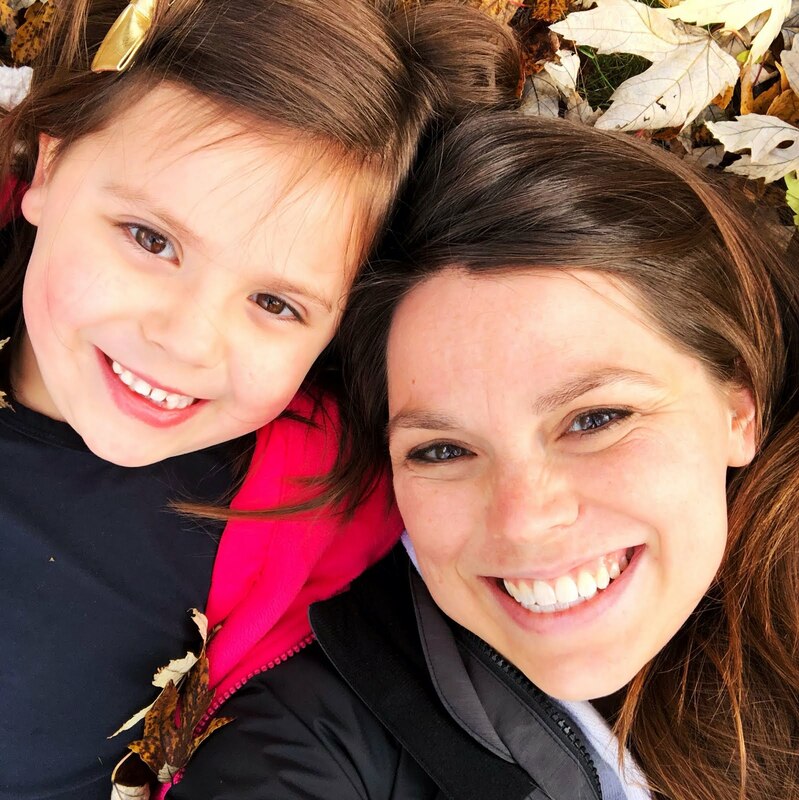 I've always loved working on art projects with her, but now that she's old enough to be excited and proud, it's even more fun. I have so many more hand and foot art ideas! Can't wait to share them with you!